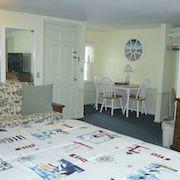 Images Room Details Sold 109 109 109 114 114 109 109 109 109 109 114 114 109 Book Now! 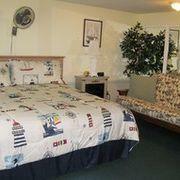 Images Room Details Sold 114 114 114 119 119 114 114 114 114 114 119 119 114 Book Now! 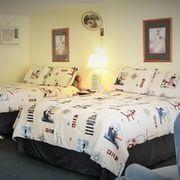 Our adorable Inn on beautiful Cape Cod is family owned and operated. 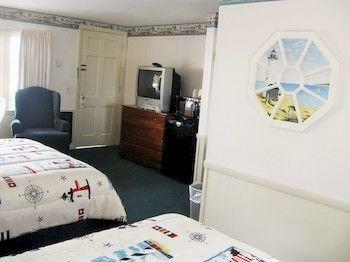 Our spotless rooms are reminiscent of "Olde Cape Cod": wallpaper, wainscoting, charming touches, yet all with the modern day conveniences - HD tv, AC, hairdryer, iron & board and free Wi-Fi. All rooms are non-smoking. Our King rooms have electric fireplaces. 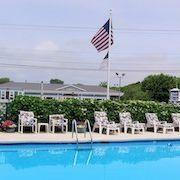 In our ground-level inn, all rooms overlook the sparkling seasonal outdoor swimming pool, where you can relax poolside on lounge chairs and feel the gentle breezes. We also have a family picnic area with gas grills. A great shaded spot to enjoy a cookout! 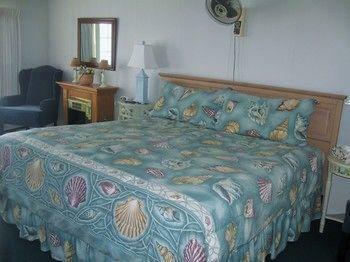 We also have microwaves, refrigerators and dining tables in all rooms to help defray the cost of dining out. 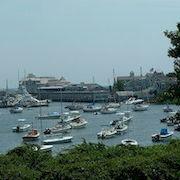 We are located in West Harwich, a wonderful Cape Cod town that truly has kept that "Cape Cod quaintness." Located past the traffic congestion that plagues the Mid-Cape, Harwich has great restaurants, adorable shops, fun-filled activities for the kids (mini-golf, trampolines, bumper boats, batting cages, go-carts, etc.) fishing, golf, kayaking, tennis and the list goes on.... 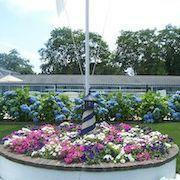 There is a ferry to Nantucket, wonderful bike and conservation trails, museums, playhouse and best of all, beautiful beaches! Pleasant Rd. 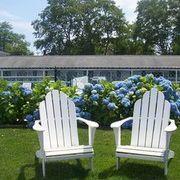 Beach, a warm water ocean beach on Nantucket Sound, is just a 10 minute walk from our inn! 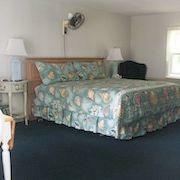 Our goal is to make your vacation a memorable one and to help you experience the "Olde Cape Cod" Patti Page sang about. 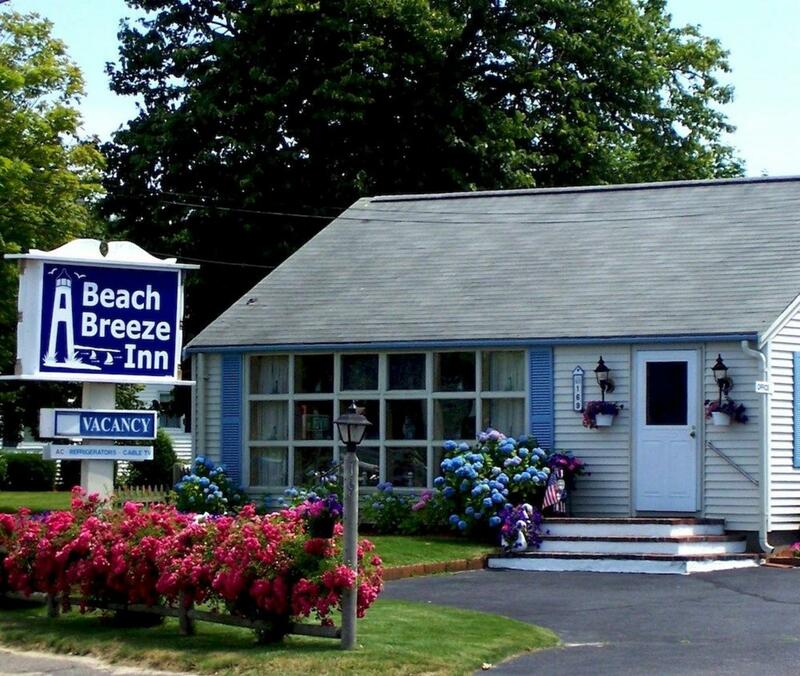 You're sure to fall in love with A Beach Breeze Inn!